100% Hand Car Wash with Auto Detail! Since 2005, Little Tokyo Car Wash owner Herbert Martinez and his team have been caring for cars like they are their own. Each car is 100% hand-washed with precision and detail. Little Tokyo Car Wash offers car wash services including interior and exterior detailing and waxes—all at great and affordable prices! 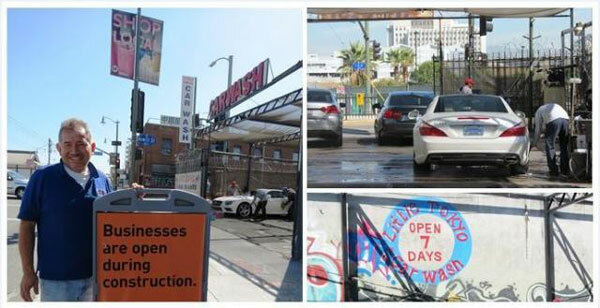 Little Tokyo Car Wash is located at 622 E. 1st Street, Los Angeles, CA 90012. Take the Metro Gold Line to Little Tokyo/Arts District Station and walk two blocks east to the corner of 1st Street and S. Hewitt Street.